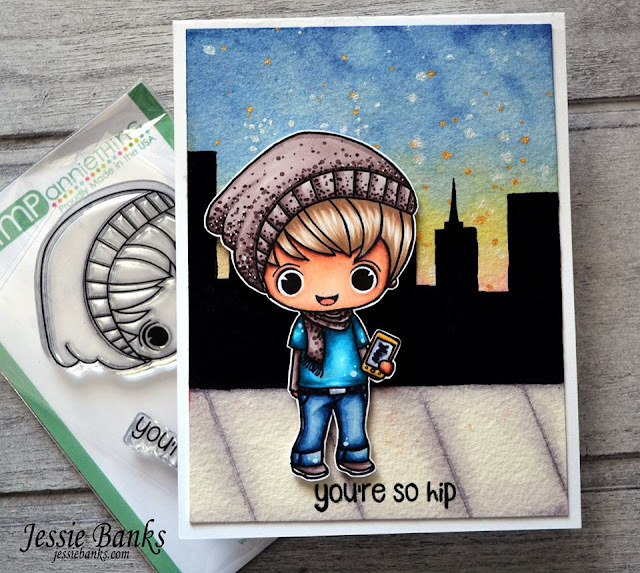 Stamp Annie Thing: You're So Hip with Jessie (Guest Designer) and a video too!! You're So Hip with Jessie (Guest Designer) and a video too!! Today on the blog is March Guest Designer Jessie! Check out this totally rad card she made! How fabulous is the little street scene she created behind our Hip Chibi Kid James? elle est fabuleuse cette carte, magnifique colorisation!